【Thicker Diameter, More Stable】 Robust aluminum construction, born for reliable stability. 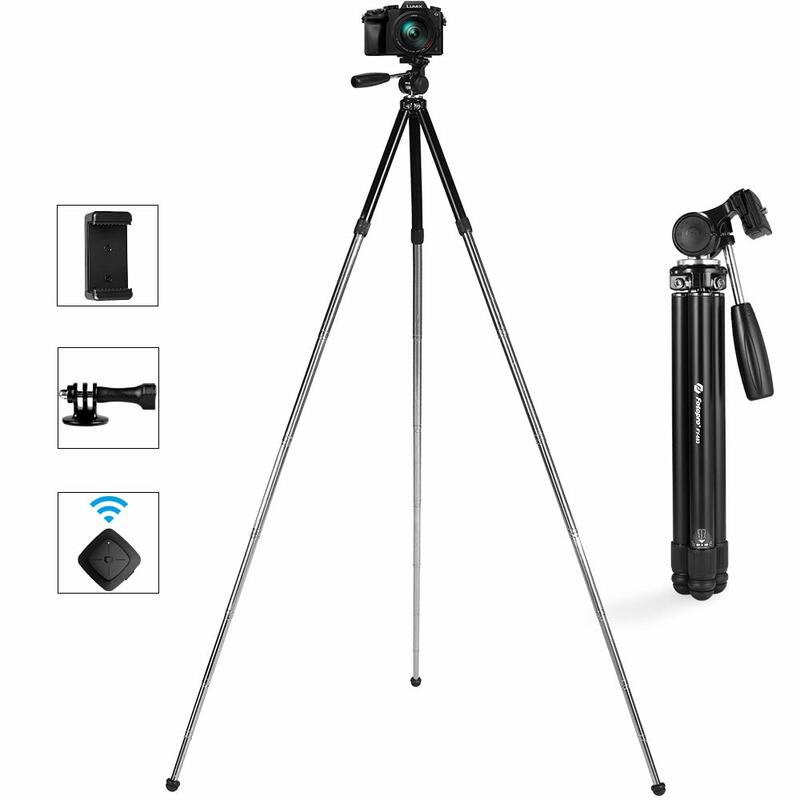 The legs of Camera Tripod is made of stainless can keep the tripod stable while shooting. Antiskid rubber feet help ensure stability on different surfaces. Max Load Capacity: 3KG. 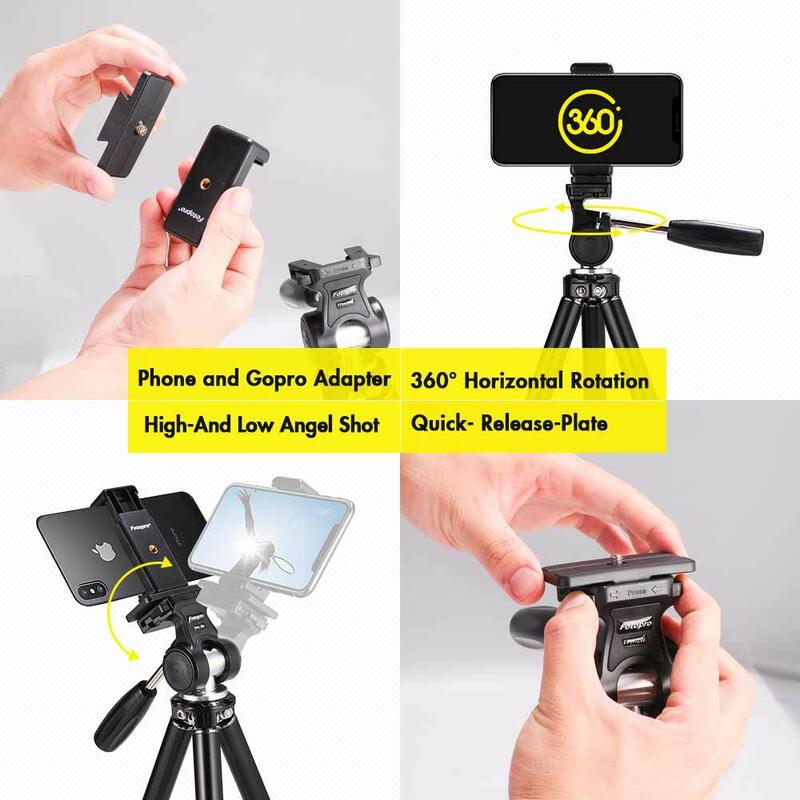 【More Possibilities】Smartphone Tripod with 2-Way swivel Head, which allows both 360 degrees panoramic and 90-degree vertical shooting according to your preferences. 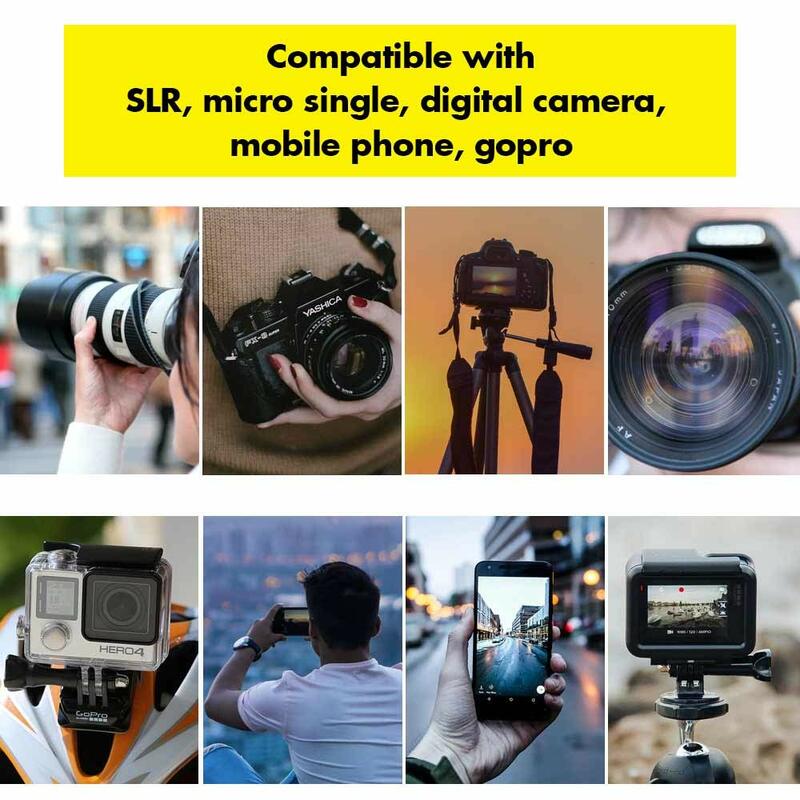 Damping Ball Head allows you to control the moving speed of the camera easily when shooting video. 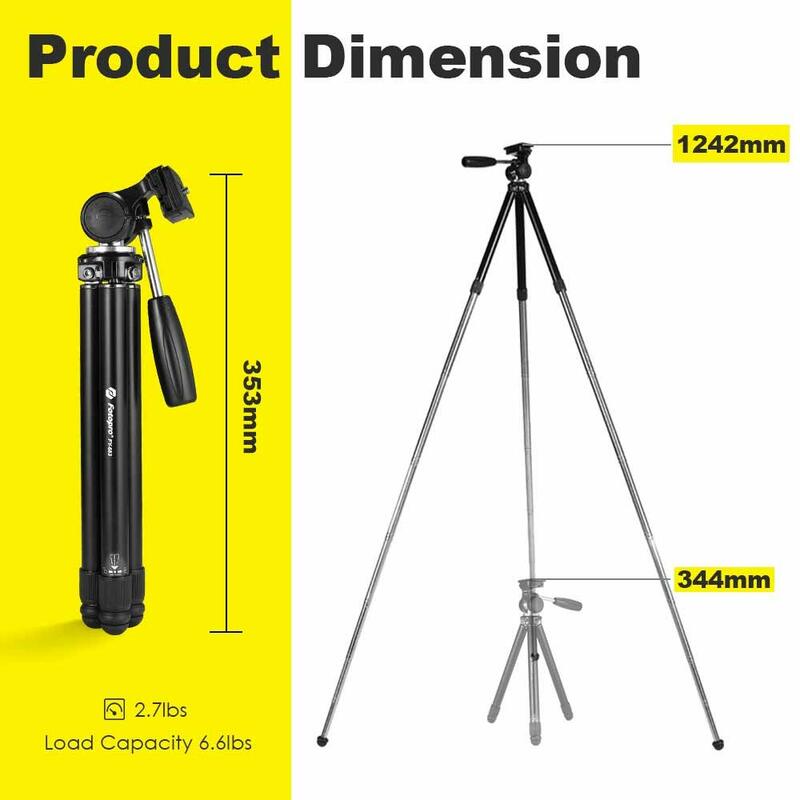 【Adjustable Height】Cellphone Tripod with 8-section legs, easy to get the height you need (from 36.1cm/14.21in to 124.3cm/48.93in). 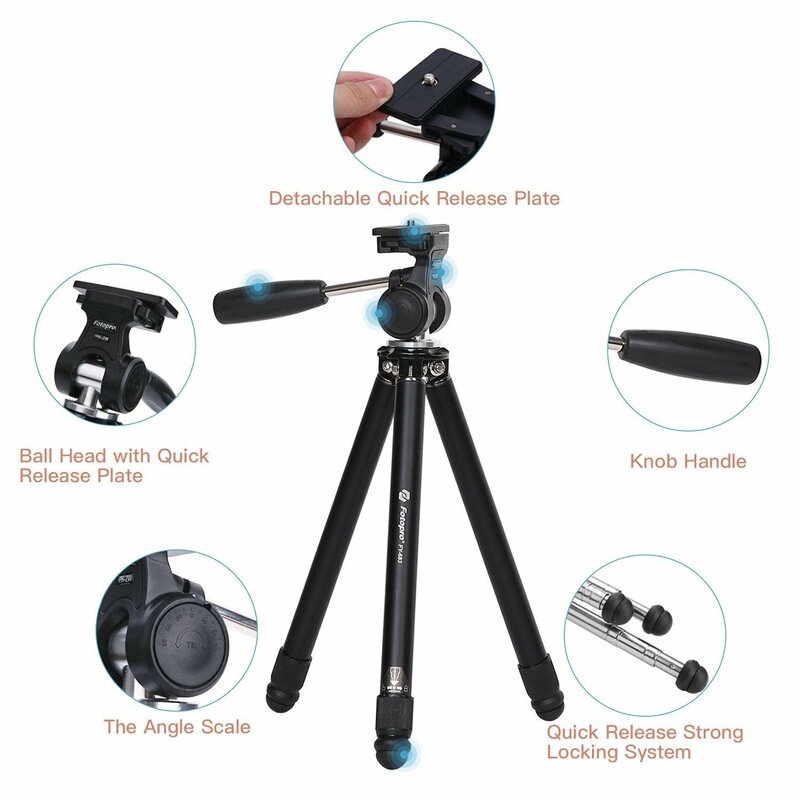 The lock of this tripod is applied to stick-point and screwed double locking system, to increase the locking force. 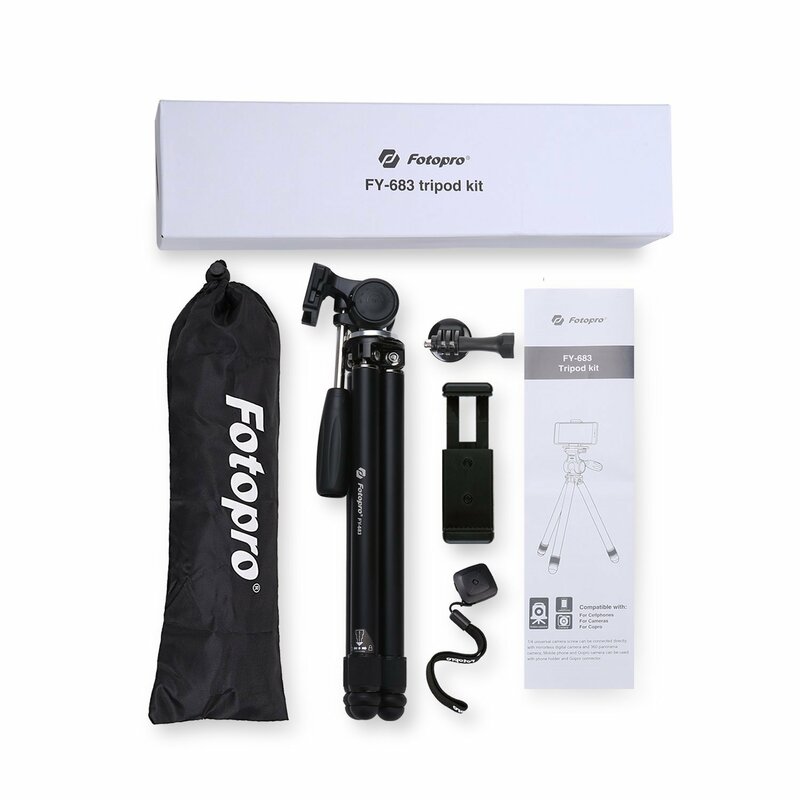 【Compact & Space-Saving】Fotopro Travel Tripod is specially designed for nature explorers, entry-level photographers, and tourists etc. 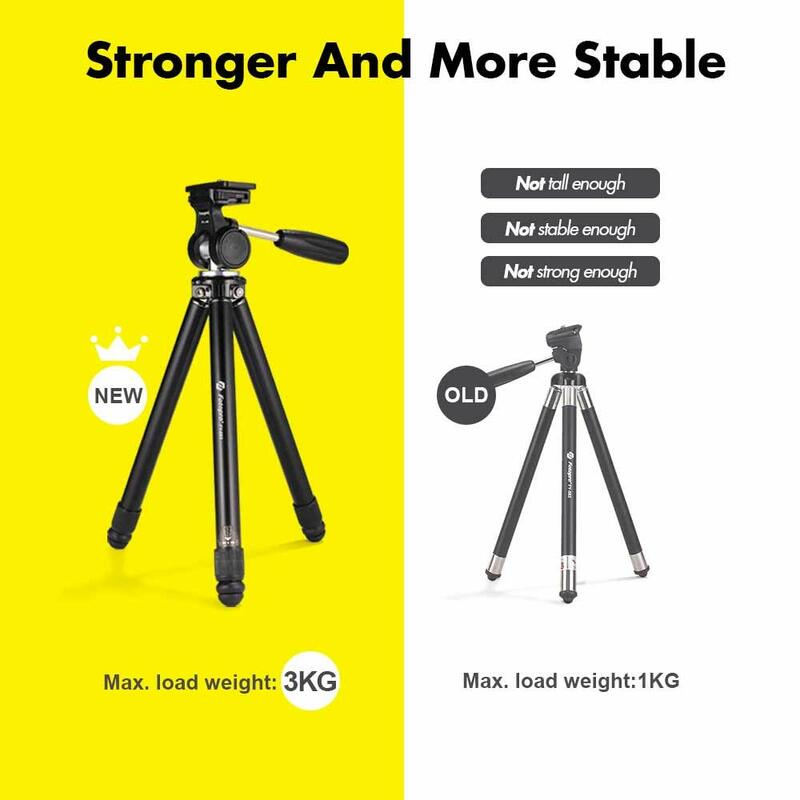 Weight 0.75kg (1.65lb), the folded height is only 36.1cm（14.21in）It is perfect for your backpack or suitcase when on the go. 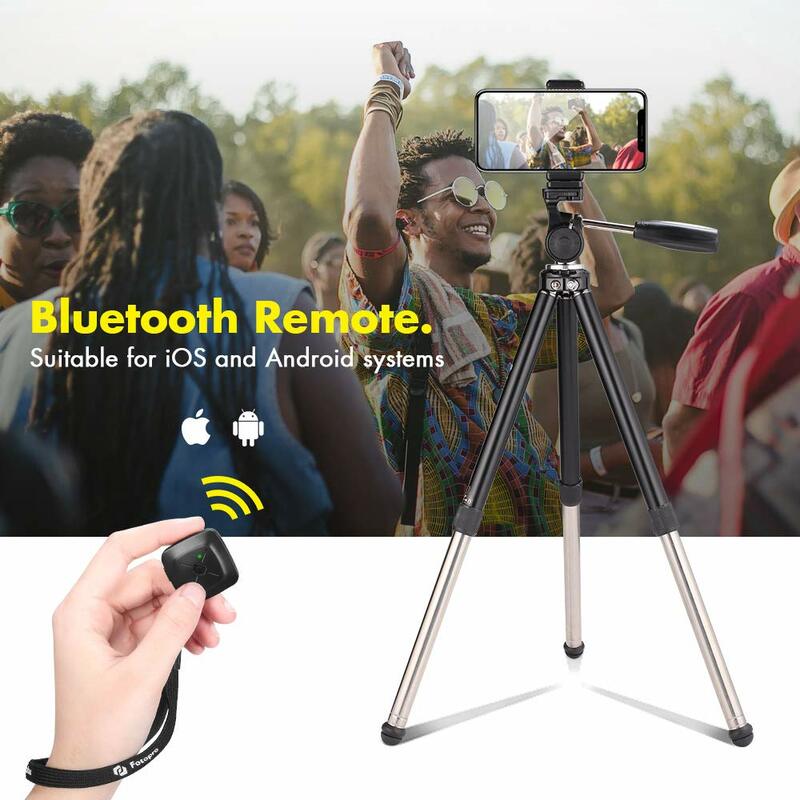 Attached Bluetooth remote make your journey more pleasant. 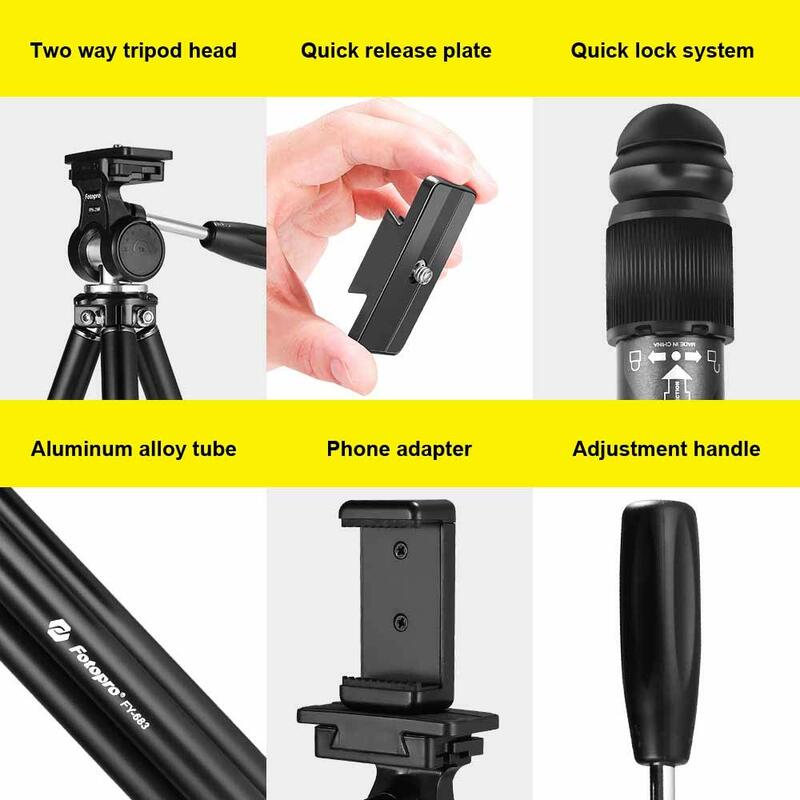 【High Compatibility】The Basic Tripod with universal 1/4″ screw quick release plate ensures the fast operation of the most digital device, such as digital camera, camcorder, projector, point lasers, DV, DSLR, Canon / Nikon / Sony, Gopro, iPhone, Smartphone etc.